LONDON — Rarely has a sale of a grandmother’s hand-me-down jewelry gotten such attention. But when that grandmother was the double-Oscar winner Vivien Leigh, the glare of the spotlight is probably unavoidable. Dozens of pieces of jewelry, as well as paintings, books, furniture and clothing once owned by the “Gone With the Wind” star, will be included in “Vivien: The Vivien Leigh Collection,” an auction scheduled for Sept. 26 at Sotheby’s here. The jewelry includes a mid-19th century bow-shaped diamond brooch; a wristwatch from 1940 with rubies and diamonds; and a natural pearl and diamond necklace and earrings set. There also is a 1920s wristwatch with a rectangular dial beneath a lid of polished onyx, made by the jeweler Hamilton and Co. in Kolkata, then called Calcutta. “This is a reference to Vivien’s past,” said David Macdonald, the specialist in charge of the sale. “She was born in India and we think that this was either her mother’s or was given to her by her mother.” The jewelry now belongs to the three sons of Suzanne Farrington, Ms. Leigh’s only child, whose father was the actress’s first husband, Herbert Leigh Holman, a British lawyer. 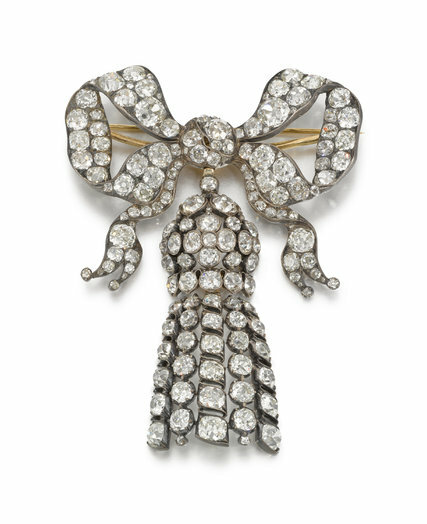 A mid-19th century bow-shaped diamond brooch. There also is what Sotheby’s speculates may have been the ring from her 1940 marriage to Laurence Olivier. 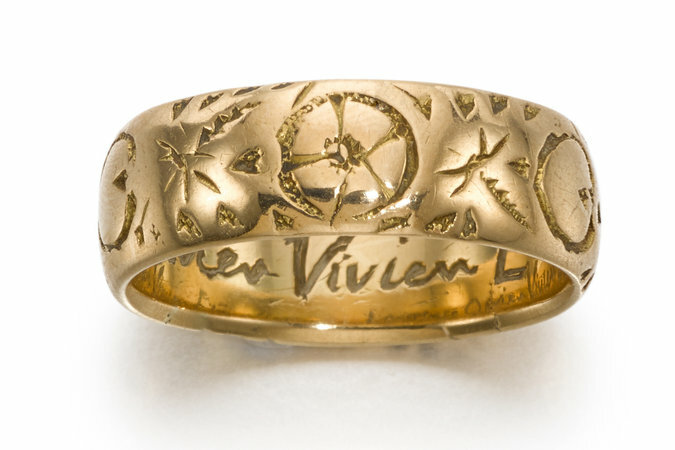 The flower-etched gold band is “perhaps not intrinsically valuable as a piece of jewelry but the inscription inside is so beautiful: ‘Laurence Olivier Vivien Eternally,’ ”Mr. Macdonald said.